1. 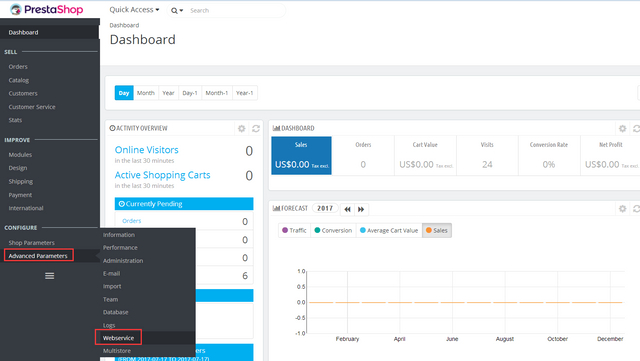 Login to PrestaShop dashboard, click "Advanced Parameters" > "Webservice". 2. Click "Add new webservice key" and "enable PrestaShop's webservice". 3. Click "Generate! ", enter plugin name like "TrackingMore", select all boxes under second column and then click save.